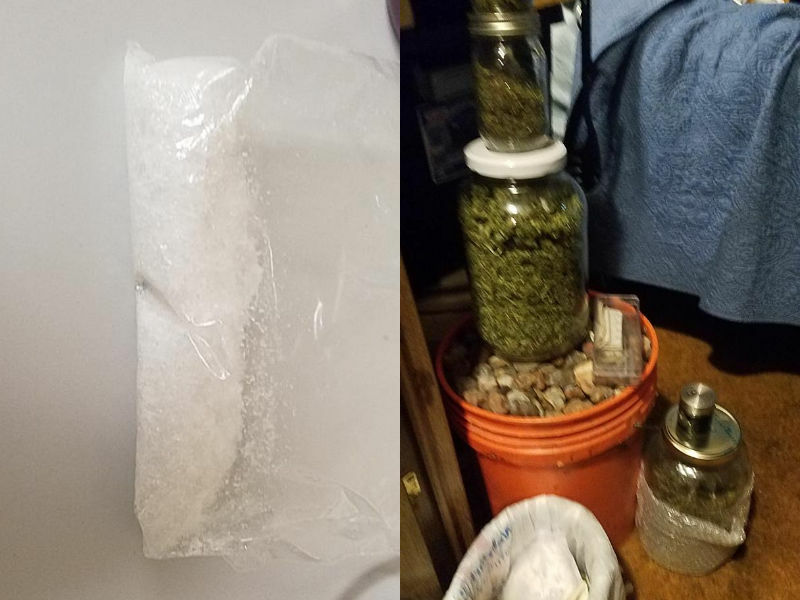 BURNETT COUNTY -- Over 95 grams of meth and 1.33 pounds of marijuana were seized following the exectution of a search warrant at a residence in the Village of Siren, according to a press release from the Siren Police Department. (Press Release) -- On Friday, November 30, 2018, the Siren Police Department assisted by the St Croix Tribal Police Department and Webster Police Department executed a search warrant based on the odor of marijuana in the Village of Siren. During the execution of the warrant 1.33 pounds of suspected marijuana and 18.5 grams of suspected methamphetamine and numerous other drug paraphernalia items. Once the search warrant was completed, there was still one subject who was not at home at the time of the search warrant. That subject was later located and stopped in the Village of Siren on a traffic stop. During, the course of the traffic stop, the subject was asked to get out of the vehicle and refused attempting to flee in the vehicle. The suspect was able to get the vehicle into drive and fled spinning his tires of the vehicle. The officer had his arms inside the window and was being dragged by the vehicle. The suspect stopped the vehicle in a yard. The suspect was taken out of the vehicle and arrested. During the Investigation, a Tribal Police Department K-9 sniffed the exterior of the vehicle and indicated on the car. In a container along side the vehicle, Officers Located 2.71 ounces, or 77 grams of suspected methamphetamine. The suspect was identified as Erick Cooke. Siren police dept. was assisted by St. Croix tribal, Webster pd and the Burnett co sheriff dept. All subjects were taken to the Burnett County jail.